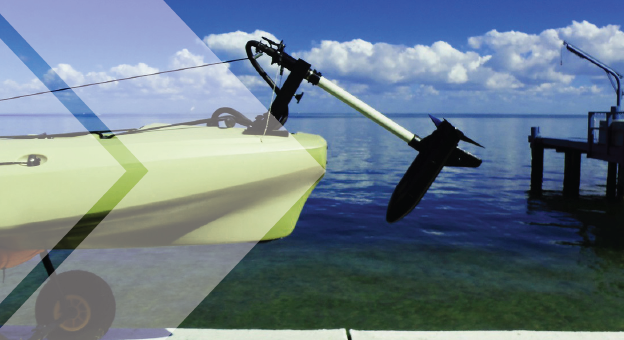 Victorian paddlers who want to fit a small electric motor to their kayaks or canoes will not be required to register their craft or hold a marine licence, as part of a trial exemption in 2018. The trial aims to reduce red tape for low-powered vessels travelling up to 5 knots, while continuing to ensure safety. It will run between 1 January and 31 December 2018, and is for kayaks and canoes with electric motors of up to 40 pounds thrust (or 1 horsepower or 750 watts). “If the trial period shows that the safety of paddlers is not compromised in any way, this exemption is likely to become permanent,” explained Peter Corcoran, Director, Maritime Safety Victoria. The trial is in response to a recommendation from the Red Tape Commissioner to bring Victorian requirements closer to New South Wales, Queensland, South Australia and Tasmania. The benefits of motor use are that kayakers and other paddlers can conserve energy and have some assistance in getting home after their trip. However, Mr Corcoran urges paddlers not to relax their attention to safety. overestimating the capacity of the kayak to handle conditions further offshore that may change without warning.